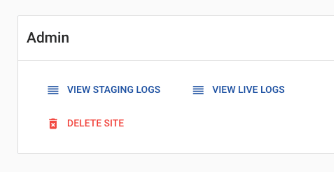 Your live and staging sites get a nice web interface for browsing logs. You can also go full screen via a button in the top right corner. nginx-access-log Requests as logged by the nginx web server. nginx-error-log Nginx errors, for example, missing static files. php-fpm-error-log php-fpm errors, for example, not enough workers. php-error-log PHP errors, warnings and possibly notices. All logs are searchable for three days and archived for one year. 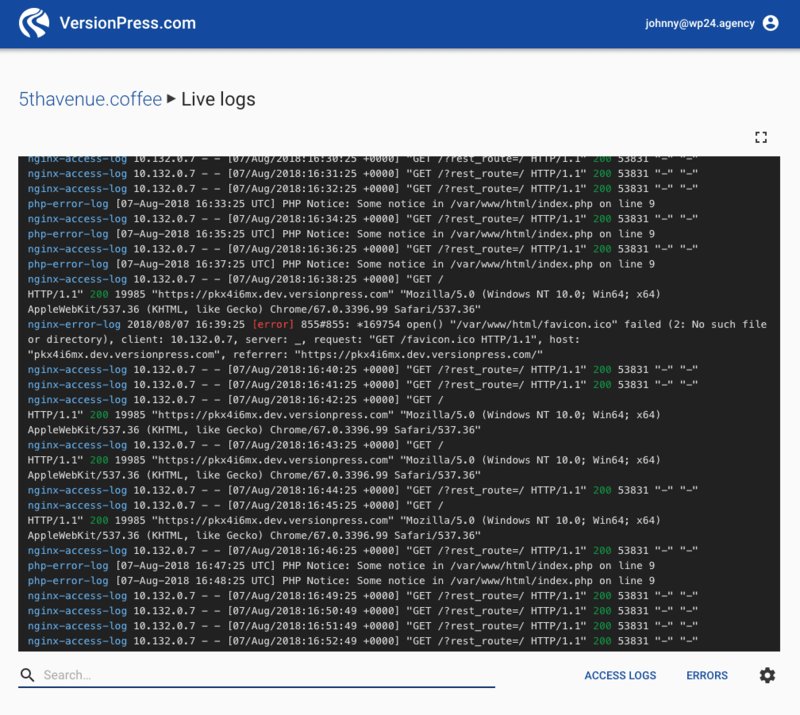 VersionPress.com is configured to log almost everything, however, WordPress comes with its own rules and logs only errors and warnings by default. We recommend you use WP_DEBUG in staging only. Setting WP_DEBUG_LOG to true makes WordPress write the logs to wp-content/debug.log. This location is not picked up by the VersionPress.com logging backend. Learn more about debugging in WordPress. program:php-error-log warning -"Illegal string offset"
will search for PHP warnings but excludes those about illegal string offset. Please contact us to obtain raw logs.